Lisa loves John: The Man Behind the Blog! The Man Behind the Blog! 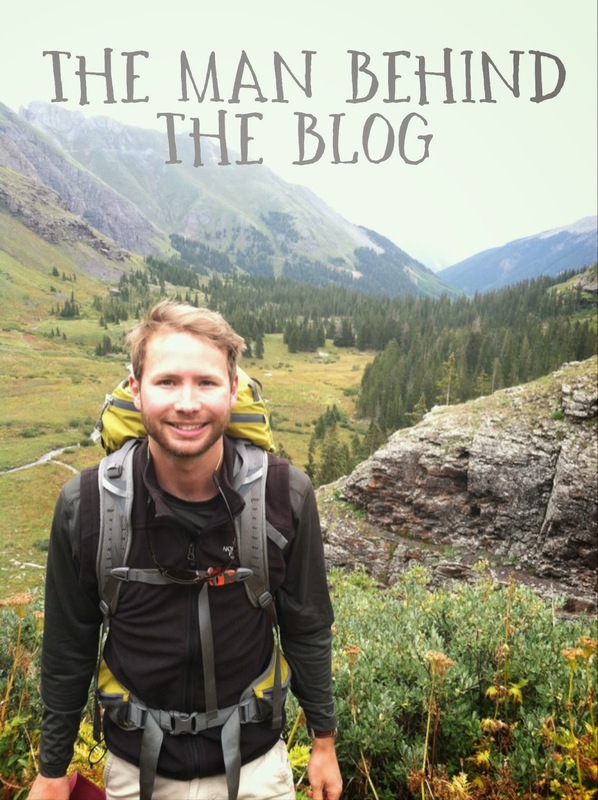 On quite a few blogs lately I have seen interviews with the men behind the blogs! Some of them have been so hysterical that I couldn't help but see what my hubby had to say about blogging, makeup, and fashion. I love my sweet John so dearly, and I think he had the perfect interview (...and I'm not biased at all!). L: What is the name of my blog? L: Do you read my blog? L: What other blogs do you read? L: Are you on Bloglovin'? L: You should get an account... it will help you organize reading your blogs. L: If you had a blog, what would your blog's name be? J: "Between Two Pines" ...Because there is a John Muir quote that I like, "Between every two pines is a doorway to a new world" - it's about exploring. And part of my banner would be two pines very skinny on either side... like built into the frame. L: Sounds like you've thought a lot about this! Have you ever considered the blog name John Loves Lisa? J: Yes, that's a good name too. L: What is currently your favorite fashion accessory? J: My new Fish Pond visor - it's tall, but not too tall. I also really like my new Bosch impact driver. L: What is eyeliner for? J: Where you make outfits. L: Will you create an outfit for me on Polyvore? J: Okay (See below... he made three!! After I showed him how to do it, he did it all on his own!). L: That's pretty impressive John!! You should consider blogging! J: I don't have the time to do an excellent job. Haha cute! He did a really good job! Ahhhh I love this! Every answer is such classic John. I am also REALLY impressed at his Polyvore skills. Maybe one day we can get John to start a blog and Jameson to open his Etsy shop. We love and miss you all! I am beyond impressed that he made those on Polyvore because I can't even do it lol!! I think it's great that he has already thought of a blog name - that's step one lol! I love his responses!!! Sounds like he really cares about your interests! Love that he knew what a banner was and had a design all picked out to go with his blog title!! So sweet!! I'm gonna have to do one of these! My husband probably couldn't tell me the name of blog though. Ha! Love this! So impressed with his outfits!! I will have to do this with Robert sometime, such a fun idea! This is hilarious! I love his outfits! Love it, good job on the outfits!! If he started a blog and called it John Loves Lisa it would officially be the cutest thing ever! I'm also definitely impressed with his polyvore use! So fun! Love that he made not only one, but three outfits on polyvore! I am extremely impressed by your man! Bill would have no idea what Polyvore is! He is not into the whole blogging thing either... So fun her shares that interest with you! This is so cute! I love the idea! I love this! what a great post idea! and it's always fun to get to know the man ;) you two are adorable! I am impressed because I did not know what Polyvore was. I always thought people knew a photoshop trick that I didn't! This is too funny! I He did such a good job on those outfits and I think he would make an excellent blogger! So funny! He's pretty good! I'm impressed with both the blog knowledge, his creativity and the outfits! They look exactly like what my husband would pick out. I'm so glad he played along! Haha, how great is this! What is eyeliner for? To look awake. It's a shame he doesn't have the time to do an excellent job! Wow! Your hubby did an amazing job with Polyvore! I've been dying to do this with my husband so I need to do it soon. Loved it! Quick Weekend Recap & Give Away! Five on Friday + Giveaway!